Every Monday, Gray Line New York will be highlighting a “Partner of the Week” on our blog. We are going to provide a review for a new partner’s product and share our own insights and experiences. 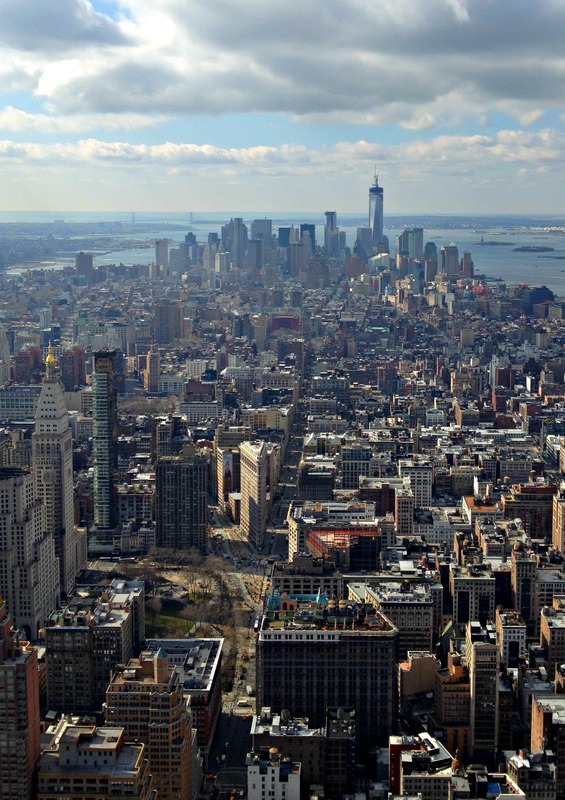 This week, our Partner of the Week is the Empire State Building. When you picture the New York City skyline, what do you see? I think that it is safe to assume that a part of your image included the soaring Empire State Building. It is a beautiful sight to see, but it is a mind-blowingly different experience being at the top looking out, down and across at everything else for a change. And by everything else, I literally mean everything else. The entrance to the observation deck is on the 5th Ave. side of the Empire State Building. I headed here on a chilly, but sunny and clear Wednesday morning. I was immediately impressed with the lobby because it was eloquently designed with all marble features. The workers directed everyone upstairs where all the visitors had to go through security. There were a lot of people around me just as eager to get to the top as I was and we all moved quickly through the line. From there I was sent to will call since I needed to pick up my tickets. Those who already bought and had their tickets in hand were sent directly to the elevators to the top. The will call line was extremely short and quick for me, but for your own convenience I would suggest buying your ticket ahead of time. Finally, it was my turn to board the elevator to head up the 80th floor. This was a 55 second elevator ride and even though that may seem short, the elevator felt like it was climbing floors at an extremely fast rate and also that it was just never going to end. Upon arrival to the 80th floor, to my surprise I still wasn’t at the observation deck. I entered into a room that reminded me of a small museum. It displayed pictures and all the history behind the Empire State Building. I want to give you the chance to discover and explore the Empire State Building yourself, but I’ll give you this one fact just in case all your hopes and dreams come true one day and you are on Jeopardy and need to know- The Empire State Building was built in 1931. After learning the history of the building and looking at historical photos from the building being built, it was time to head up 6 more stories to the observation deck. Here, I was given the option of waiting for the elevator or taking the stairs. I decided to take the stairs to switch it up a little from the previous elevator ride. Don’t do that. I’m not sure if it was the thin air or they just lied and I climbed about 20 stories because when I arrived at the top, I was extremely winded and felt like I had just ran a marathon. That feeling actually lasted long, and not because of the stairs, but because I immediately stepped out onto the most breath-taking panoramic views I have ever seen. The deck was huge and wrapped around the entire building. I took time on each side to take priceless pictures of downtown first. This included the Brooklyn Bridge, The Freedom Tower, and The Statue of Liberty (which looked about the size of an ant). On the East Side, I decided to stick my camera through the grate and take a picture of the streets below me. Again, don’t do that. I almost dropped my camera and that could have been the one thing to ruin the trip. I then made my way over to the North side and over looked uptown and Central Park. Since it was such a clear day, I could see all the way to the Bronx and beyond. I even saw the Top of the Rock observation deck and pointed and laughed because I was higher than them. Just kidding. What I actually did was look out over The Hudson River into New Jersey and New Jersey didn’t even look that bad. I mean, the armpit of America looked good from the top of the Empire State Building and that’s saying something. (I’m from New Jersey by the way). After spending time taking in all the amazing views and after coming to the realization that I could not live up there, I headed back inside. Of course, I chose the elevator back down to the 80th floor to take a walk through the gift shop. After looking through the entire store I concluded that all the t-shirts, magnets, glasses, and posters were reasonably priced. They offered a variety of designs and colors in everything they sold, which I liked. I took the 55 second elevator ride back down to the lobby on the first floor. In those 55 seconds I realized that the observation deck exceeded all my expectations. This wasn’t just another view of New York City. This was all of New York City and surrounding areas all at once, but without the chaos and noise. It is hands-down, a can’t miss. You have been asking us for some time now to make our Brooklyn Loop tour a Hop-on, Hop-off style tour like our Uptown and Downtown Loops. You have told us that you want to be able to get off the bus in Brooklyn and explore the up-and-coming borough even more on your own. Starting on Monday, March 25th, Gray Line New York will officially be turning our Brooklyn Loop into a Hop-on, Hop-off tour. We will make stops at the Brooklyn Promenade, Atlantic Ave., Barclays Center, Brooklyn Museum of Art, Brooklyn Botanic Garden, Brooklyn Zoo, Brooklyn Public Library, Fort Greene Park, and BAM. So what do you think? Anywhere else we should stop? Are you going to hop on? Every Monday, Gray Line New York will be highlighting a “Partner of the Week” on our blog. We are going to provide a review for a new partner’s product and share our own insights and experiences. 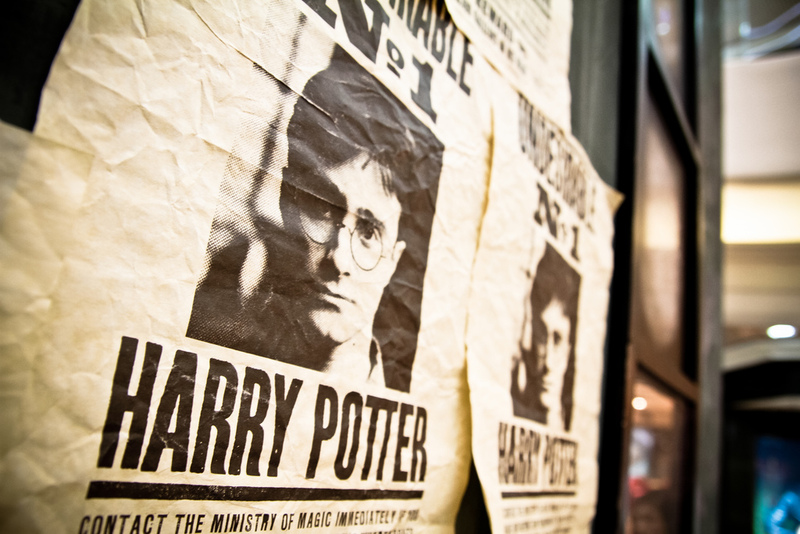 This week, our Partner of the Week is Harry Potter: The Exhibition. On a Wednesday morning, I made my way over to 44th Street right in Times Square. It was a cold and windy morning (just about to blizzard), so I was even more relieved and excited to make it to the lobby of The Harry Potter Exhibition than I even originally had been. From reading the Harry Potter series and watching all the movies, I couldn’t believe that I was about to view and see this unique exhibit up-close and in-person. I arrived at 10 a.m., just when the exhibit opened, and went right up the stairs to the box office. I received a ticket in the mail but needed to exchange that for an actual ticket to enter. However, I was surprised that there was somewhat of a line to receive my ticket, but I then realized that The Spy Exhibit is another exhibit you can walk through by purchasing a separate ticket here in the same line. While waiting I noticed a sign that said “no photography in the exhibits.” I was slightly disappointed because I was looking forward to taking pictures throughout my experience. However, this wasn’t enough to let this ruin my enthusiastic mood. Once I received my ticket, I headed downstairs to start my experience. Immediately, I was able to take my picture in front of a green screen with a wand and a Hufflepuff scarf. I was then given a number to view my picture at the end of the tour. After having my picture taken, (and almost walking away with the scarf still around my neck), a group of us were escorted into another room which featured The Sorting Hat and a woman welcoming all of us to Hogwarts. If you’ve ever wondered what house you would be put in at Hogwarts, this place gives you the chance to find out. After a few volunteers were put into their designated houses, the walking portion of the tour officially started. I loved that I was given the chance to walk at my own pace throughout the rest of the exhibit. It gave me the time to read and experience everything at my own leisure. I was incredibly overwhelmed by the countless displays of costumes and props. These displays also were not ordinary. They had set-ups that featured the props inside, such as, Hagrid’s Hut, The Forbidden Forest and The Great Hall, just to name a few. The entire exhibit was extremely well laid out. It is needless to say that the exhibit had me in awe from start to finish. This is because I wasn’t expecting so much of an experience, but rather just displays. The exhibition featured mood-setting lights, fog, sounds and even hands-on experiences. Much more detail was included in the exhibit but I don’t want to give too many exciting surprises away. But since I want to brag, I did play Quidditch. The exhibit did range from props to scenery to video and sound to costumes, but my favorite was seeing the three main characters, Harry, Ron and Hermione’s, clothing from the first movie all the way up until the last. Each of their Hogwarts uniform’s, along with casual clothes, were on display from a majority of the films. I loved seeing how small they once were compared to their present size, based on the costumes. Some costumes featured the original wear and tear from the movie. I noticed rips in some of the costumes along with fake dirt and blood. This made it that much cooler to see the real thing right in front of me. The tour concluded with the expected gift shop which I walked through after my experience. The store not only had the usual key chains, postcards and t-shirts, but one-of a kind Harry Potter items. Various wands, scarves and hats from each house, necklaces and rings, quill and ink set and all types of candy featured in the books and movies. You can get into this gift shop without experiencing the museum. So if you’re in the city with only a few minutes to spare, I recommend at least stopping in the store to deck yourself out in one-of-a-kind Harry Potter gear. Alas, I want to leave some surprises from the exhibit to you and for you to find out for yourself. Since this exhibit is temporary, I recommend attending this experience while you still can. Harry Potter nerd or not, this is the place to experience. It is not every day that you get the opportunity to experience an exhibit featured from one of the most popular movie and book series in the world. Run a half marathon this St. Patrick’s Day! Who’s up for a run? Interested? Well, it’s also on St. Patrick’s Day! Runners across the world will skip the drinks and instead race through the streets of Manhattan this St. Patrick’s Day. 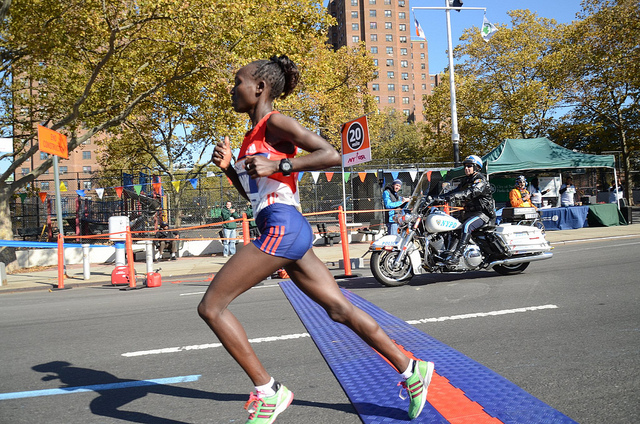 15,000 people are expected to participate in this year’s NYC half marathon. 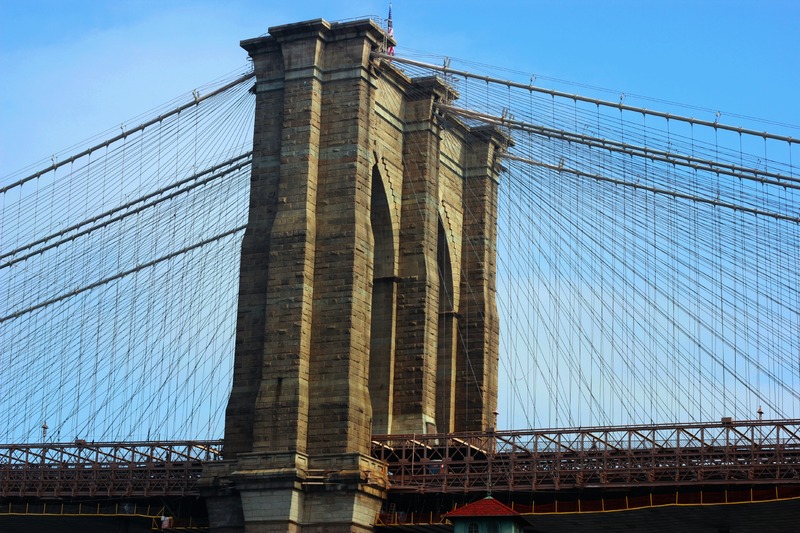 From Central Park to the South Street Seaport, runners from across the world will compete. The half marathon is only 13.1 miles, yes only. 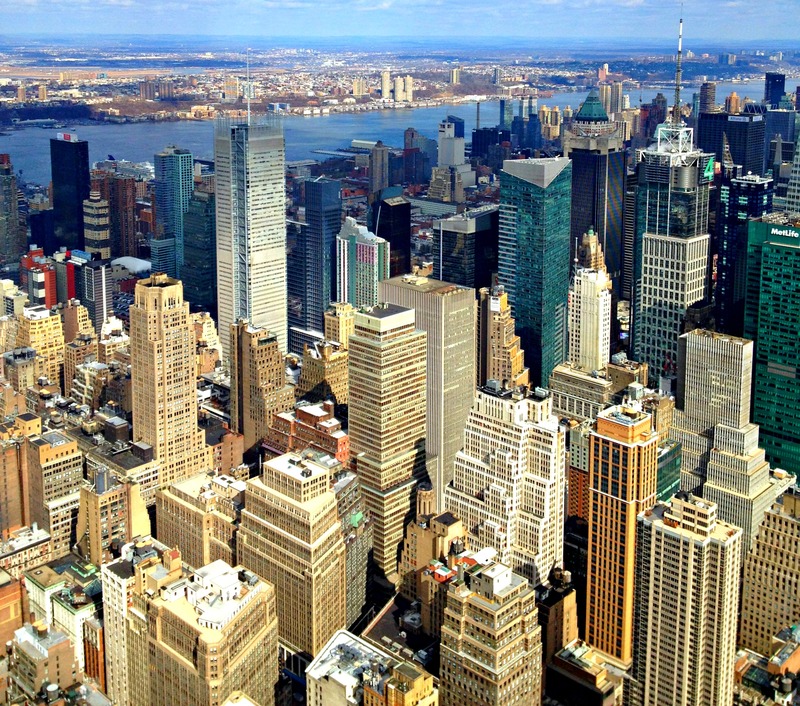 A full marathon is 26.2 miles, which is double the length of the island of Manhattan. Yikes! Many racers will running for charity. One such charity is the “Mayor’s Fund to Advance New York City” which seeks to help the city & people affected by the devastation caused by Hurricane Sandy. For information on how to donate click here. Even if you’re not running there will be plenty of fun for the whole family. There will be a post-race festival for everybody. In the spirit St. Patrick ’s Day, Irish music will be played local Irish rock band, Shilelagh Law. Other activities include a photo booth, bib wall, & much more. Every Monday, Gray Line New York will be highlighting a “Partner of the Week” on our blog. We are going to provide a review for a new partner’s product and share our own insights and experiences. 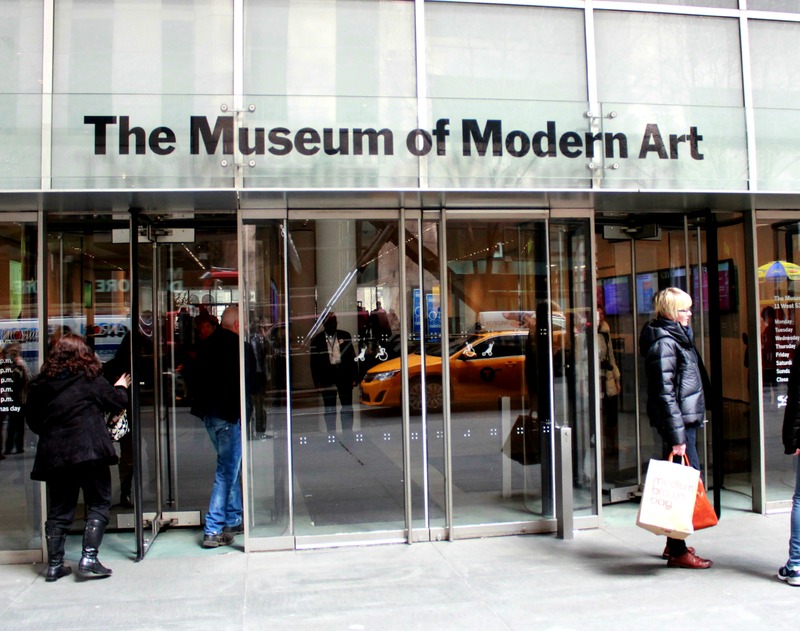 This week, our Partner of the Week is The Museum of Modern Art. Way back during my freshman year of college, that is how my architecture professor summed up the idea of modern art. I don’t think I knew what he was talking about at the time, but looking back, I think that may have been the point. While that may seem like a pretty obvious description of modern art, it has always stuck with me and I never really knew why. 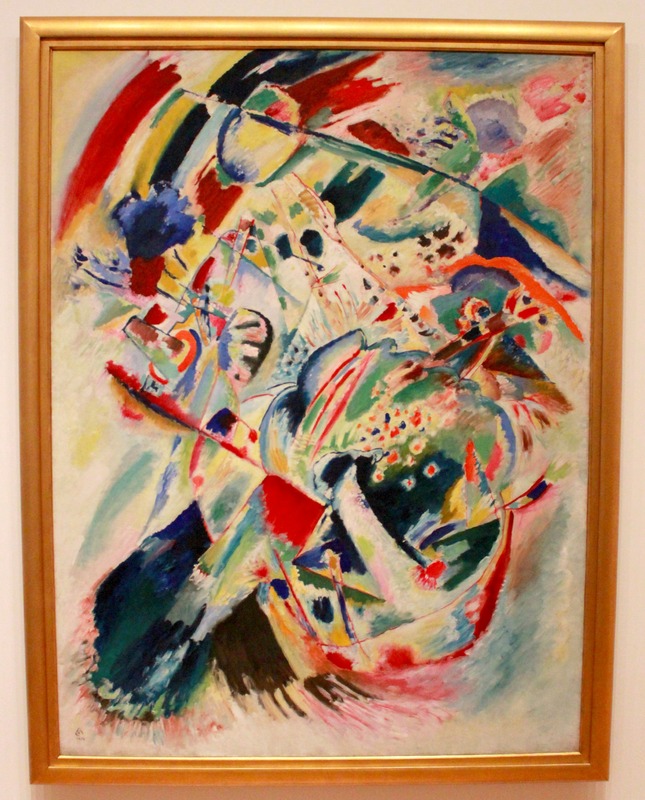 Last week I made the trek up to 55th street to visit The Museum of Modern Art. Since my days as a freshman architecture student, I have become quite the modern art fan. I don’t know much about artists or movements or art in general, but I love going to museums. The summer that I spent in London involved numerous trips to Tate Modern. Whenever I’ve gone to the Louvre or the Met or the V&A, I always find myself spending the majority of my time in the modern art section. Despite all of this, I somehow have never made it to the MoMA, arguably the world’s greatest modern art museum, which happens to be located right in the heart of my city. Needless to say, I was very excited for this trip. When I entered the building, shortly after the museum had opened at 10:30 a.m., I felt like I had just gone into a crowded office building. There were a couple of main desks off to the sides, but mostly just an open area of space that serves as the lobby. Again, this was beginning unlike any trip to a museum I had ever experienced. It was ordinary. After a brief exchange at the information desk, I received my ticket and entered the museum side of the lobby. I was immediately overcome by the extremely open architectural design of the building and realized that this isn’t just like any old office building. On the day that I went to the MoMA, I was really stretched for time, as most tourists are when they visit New York City. I decided that it would be best to spend no more than two hours at the museum, so this review will reflect that. This is the story of how you can take on MoMA in less than two hours. I started by taking the escalator straight to the top of the building. Floors four and five are for painting and sculpture, which is where most of the popular works are located. Once I was on the fifth floor, I began wandering from room to room, taking in all of the different pieces of art. Some paintings I recognized, some artists I had heard of, others I wasn’t familiar with. As it goes for most museums, I didn’t spend an equal amount of time admiring each piece of art that I saw. Some pieces caught my attention more than others, so those were the ones I dedicated my time to. After all, I only have two hours, so I need to use this time wisely. I have a similar piece in my home, but it’s value is diminished since I walk all over it every day. While there are some pieces that will make you question what art really is, so many others will leave you staring at the wall, transfixed by a paintings beauty. “Color is a means of exerting direct influence upon the soul,” read the info card next to one painting. “Art is a creation for the eye and can only be hinted at with words,” read an actual canvas hanging on the wall. The two big draws were not surprising in the least, given that they are probably the two most popular paintings in the museum. The first was The Scream by Edvard Munch, currently on loan to the MoMA by financier Leon Black, who purchased the painting at auction in 2012 for over $119 million, making it the most expensive painting ever sold. It has also been the target of multiple thefts, and versions of it have gone missing for up to two years giving it even more popularity. The painting was also the inspiration for the “ghostface” mask worn by the killer in the popular movie, Scream. 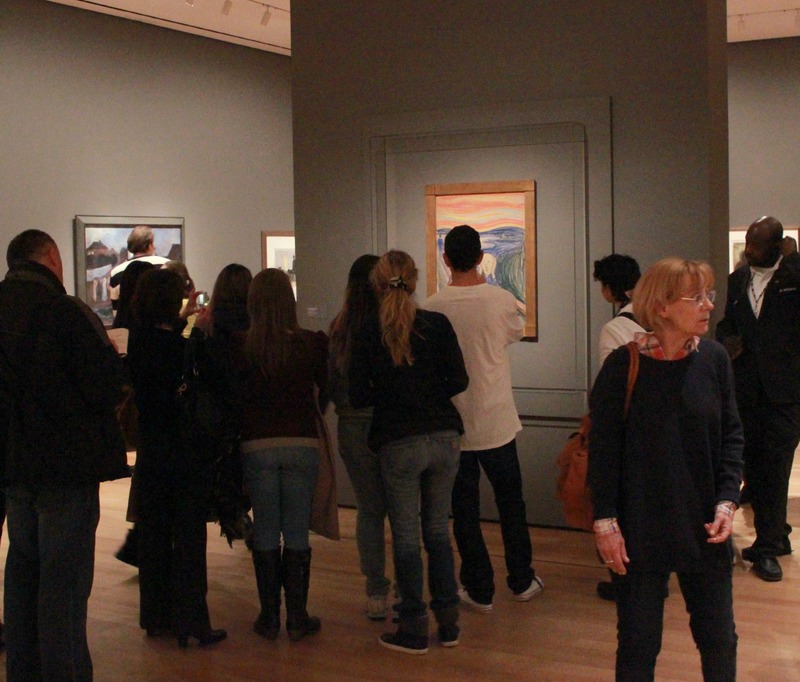 For these reasons and many more, there was a crowd gathered by the painting at all times. The second painting is Vincent Van Gogh’s, The Starry Night. Again, this painting had half a dozen people surrounding it at all times because of its popularity. What’s really cool about The Starry Night is the texture of the paint. I’ve seen pictures in art history books and online hundreds of times before, but seeing the actual painting hanging on the wall was a real treat. The brush strokes are so much more defined in real life than in photography, giving me the feeling that it really was the first time that I was laying my eyes upon Van Gogh’s masterpiece. 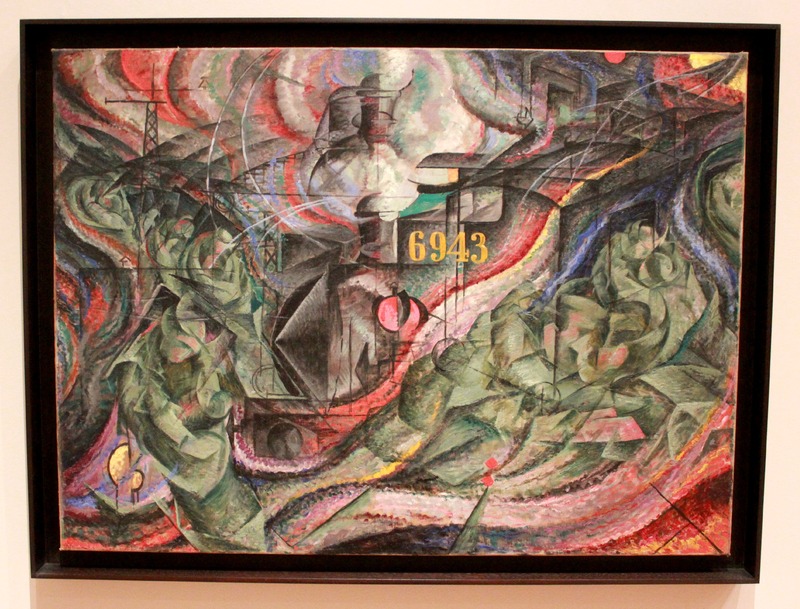 My personal favorite was a series of three painting by Umberto Boccioni entitled States of Mind. The series is really a story that has emotion and depth and really makes you feel feelings. I could have spent an hour just staring at these paintings, striking up conversation about them with other guests who took a liking, but since I only had a limited amount of time, I had to move on. When you stop by the MoMA, you should check them out. They’re awesome. As I began describing earlier, the building that houses the Museum of Modern Art is modern art in and of itself. The spacing and balconies make it so that even when it is crowded, it doesn’t feel crowded. The selection and placement of the art is strategically done as to further provide that open feel. One large room left all of the walls empty just to hang a single piece from the ceiling. The building itself isn’t nearly as big as The Met, but it certainly feels that way. By the time I made my way through the fourth and fifth floors, my two hours were nearly up. I never made it to floor three, which features Architecture and Design, Photography and Drawings, or floor two which houses Contemporary Galleries, Prints, and Media, but that’s fine. By not rushing my way through the museum to make sure that I saw all of it, I got to enjoy to parts that I did get to. If you’re going to the MoMA and are on a time limit, take a look at the map beforehand and decide what it is that you really want to see. Set your priorities and if you don’t make it to the bottom of your list, there’s always next time. I made my way back to the street and down into the subway with a craving for more. As I rode the M train back to my office, I couldn’t help but think about my former professor’s quote. 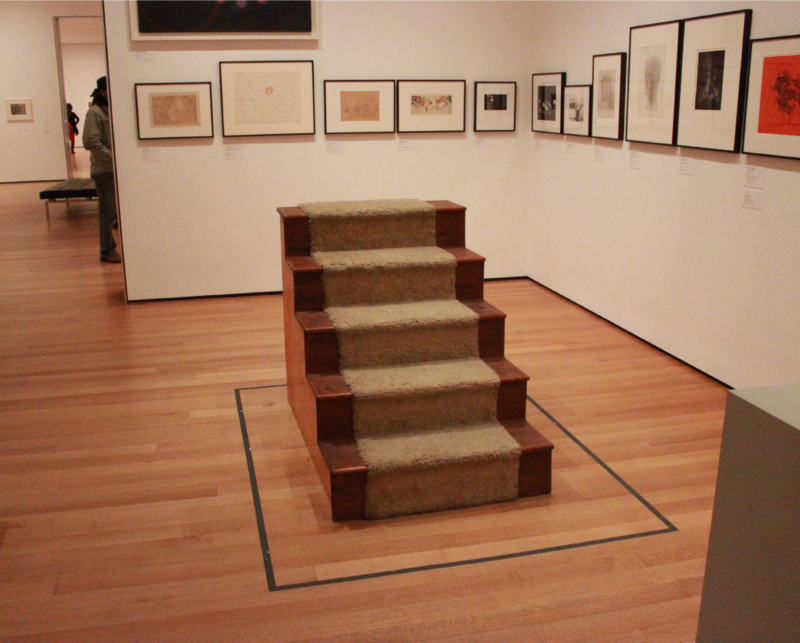 Everything about the MoMA was like other museums, but with a modern twist. From the entrance way to the escalators, the Museum of Modern Art truly is a modern experience. As obvious as that may sound, it still caught me off guard. I cannot wait to get back to the museum. Surly I will be back soon, hopefully when I have a little more time to spare. Review: Exploring Ripley’s Believe It or Not! Every Monday, Gray Line New York will be highlighting a “Partner of the Week” on our blog. We are going to provide a review for a new partner’s product and share our own insights and experiences. This week, our Partner of the Week is Ripley’s Believe it or Not!. Living in New Jersey, with an easy commute to New York City, has provided me with many opportunities to explore the countless sights and attractions of The City. However, I have never managed to make my way over to Ripley’s Believe It or Not!. After my visit on a Monday morning, I immediately regret never experiencing this surprisingly unique museum before. When I arrived just before 10:30 a.m., I barely noticed the empty line to get inside because so many sights caught my eye in the lobby. Lights, dinosaurs, crazy objects and life-size human figures were just a few things that took my attention during the brief moment I was in the lobby. Before I knew it, I had given my name and immediately entered the museum. It was surprisingly quiet at first, and then I remembered it was a Monday morning. Throughout the whole museum, which I leisurely went at my own pace, I encountered not even a dozen other guests. However, I felt the amount of guests didn’t make a difference because of the quantity of exhibits and that no amount of people could get in my way even if it was a crowded weekend. Nevertheless, because I did not have much prior knowledge about Ripley’s, other than to expect to see some unbelievable things, I am almost certain my eyes were wide and my jawed was dropped from beginning to end. The first sections consisted of displays of completely unique and bizarre people throughout history. From a bearded woman, to a man who could hold a dozen eggs in his world’s largest hand, I immediately understood where this place got its name, Believe it or Not!. With such amazement right from the start, I couldn’t wait to see what the rest of the exhibits had to show. The rest of the museum had such a random mixture of images, displays, videos and hands-on experiences that you would have to see to fully understand its astonishment. Even though I do say that this is the most random museum I have experienced, in no means was it disorganized or not enjoyable. I walked on miniature wooden model boats from The Spanish Armanda, stuck my head in a cockroach display, walked into a black hole, and touched The Berlin Wall, just to mention a few of the highlights. Although this may sound like the exhibits are childish or silly, I was surprised at the amount of history emerged in this museum. I learned about some of the most interesting facts and saw exclusive artifacts from American and World History. However, it was in no way boring, (and this is coming from someone who is not a huge fan of history). From George Washington’s hair, to a piece of the titanic to Thomas Edison’s electric chair; there were endless amounts of history’s most interesting pieces and facts. Throughout the entire experience, I wondered why all history couldn’t be this exciting. The tour concluded with a gift-shop that included t-shirts, magnets, glasses, candy and other memorabilia from Ripley’s. You could even purchase a professional picture of yourself taken in front of a green screen that made it look like you were sitting on a beam outside, overlooking New York City. But this wasn’t the only picture you were allowed to walk away with. There were no restrictions against taking pictures and since I was able to walk through at my own pace, I was able to take great pictures to ensure this experience will be truly unforgettable. It is accurate to say that it is nearly impossible to describe in words everything I saw and experienced at Ripley’s. But I am grateful for that because I now want to convince everyone I know to see exactly what Ripley’s is all about. 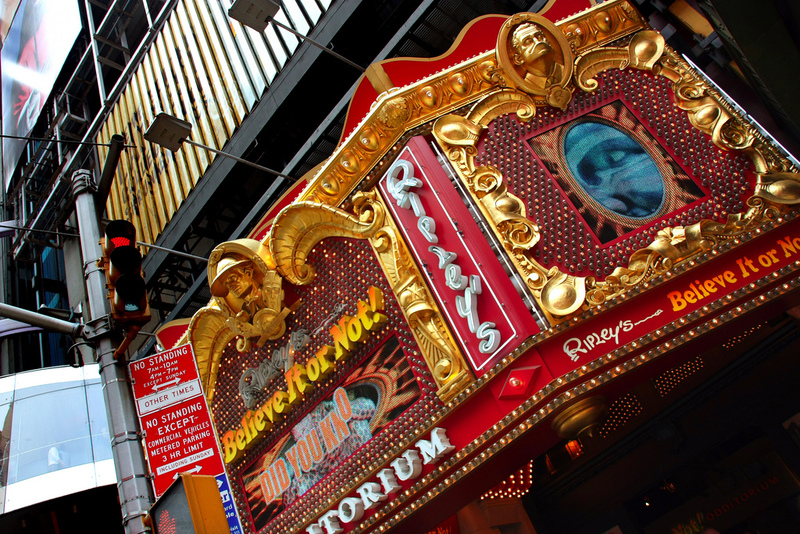 If you have a couple hours, are in New York City and are looking for a unique experience, I strongly suggest paying Ripley’s Believe It or Not! a visit. The museum intrigued my interest, sent shivers up my spine, made me laugh and also made my palms sweat a few times. You would have to visit for yourself to figure out exactly what the Ripley’s experience does for you and what all of its hidden secrets are that I chose not to include here.